A sleep tracker monitors your sleep patterns and establishes whether or not you are getting the restful sleep you need to keep you healthy and alert. Large numbers of people are not getting enough sleep, leading to a number of health issues that sleep deprivation can cause. Among these are a greater risk of infections, obesity and, particularly in the elderly, dementia and Alzheimer’s disease. You may think you are getting enough sleep, but is it the type of deep sleep you need to allow your body to repair the physical damage that even normal daily activities can cause to your bodily tissues. You also need to restore the effective functions of your brain and allow your liver and other organs to recover after the day’s activities. Note: All are excellent trackers and it was difficult to distinguish between them. There are two versions of the Fitbit Charge sleep tracker available: Versions 2 and 3 (V3 released October 7th, 2018). It comes with a fitness wristband that continuously measures your heart rate using PurePulse technology to record your calorie burn throughout the day and night. You can automatically track when and for how long you sleep, and also the quality of your sleep. Not only can you track your sleep quality, but also record your activity during the day: how many calories you burn, a number of steps taken, distance covered on foot, and time spent active. 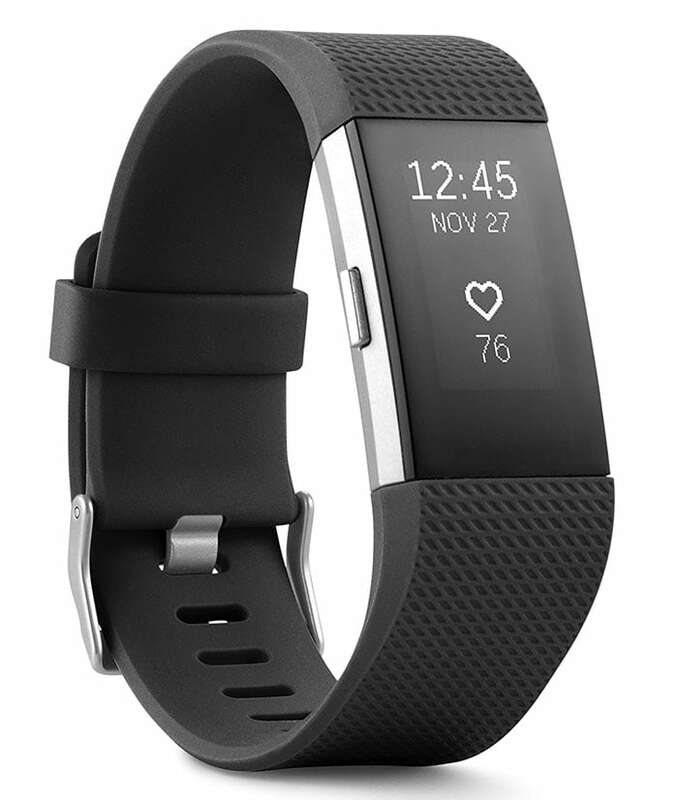 You can set the Fitbit Charge to automatically sync to devices such as cell phones, laptops and tablets – and any other connected device. 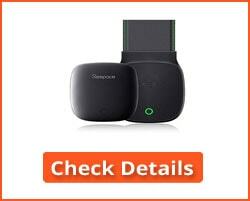 It is compatible with Windows, iOS and Android operating systems. 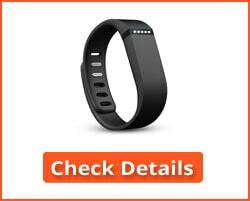 We have put this at #1, well above the Fitbit Flex, because of its display. The Fitbit Charge display shows steps taken, floors climbed, distance traveled, calories burned, and also tells you the time. Continuous tracking of quality of sleep. Measures sleeping time in addition to the quality of sleep. Connected GPS allows real-time distance run or walked and also steps climbed. Track daily and real-time calorie burn. Readable display that also tells the time. Sync stats to your connected device. Compatible with most Smartphones, laptops, iPads, iPods, and others. 2 years warranty in the European Economic Area (EEA) and 1-year warranty elsewhere. Warranty covers faulty workmanship and/or materials. Maybe inaccurate when used with HITT and dance activities. Monitoring is not carried out by electrical impulses at the chest, but at the wrist by measuring the translucency of the veins. However, as a sleep tracker, the Fitbit Charge 2 is excellent, and that is what it is being reviewed for! Editor’s Notes: It should be noted that this is about sleep trackers reviews and not fitness monitors. The Fitbit Charge 2 is an excellent sleep tracker with the additional benefits of activity monitoring. By tracking the amount you sleep and how deeply you sleep, it provides an accurate assessment of the quality of your sleep. It enables you to find out when you are sleeping and when you are temporarily awake during the night. If you feel tired during the day, then the Fitbit Charge sleep monitor may explain why. The Sleepace RestOn sleep tracker is headphone-based. It plays music or ‘white noise’ and automatically stops playing when it senses you are sleeping – but continues tracking your sleep. You need the app for it to work correctly, and you have to set when you intend going to sleep and then tell the app you are awake when you waken up. This may seem a nuisance, but it actually works very well once you are used to using it. You tend to get to sleep easier with the soft music or white noise. You can also set an alarm, and the tracker will wake you when are sleeping lightly and are within the period you set to wake up. This helps your waking to occur at the most appropriate part of your Circadian rhythm. The headphone is ultra thin and not in the least intrusive. More accurate than most wristband devices. You wake up naturally at the lightest level of sleep within the time range you set to wake up. The music built into the headphone stops automatically when it senses you are properly asleep. One year warranty: get your money back if you are not happy with your sleep tracker. The need for an app may turn some people off this excellent sleep tracker. It shouldn’t, because this is not our #2 choice for no reason! Only one waken-up alarm – although you can set a range during which the sleep tracker will awaken you when you are sleeping the lightest. Editor’s Notes: One of the immediate benefits of the Sleepace RestOn sleep tracker is that it helps you to sleep. The white noise or choice of music helps you get to sleep, and then switches off when it senses you are sleeping. The app may initially appear to be a negative factor, but its functionality allows some features not available with the Fitbit option. The choice between these two sleep trackers is difficult to make, although we believe that Fitbit just wins it. 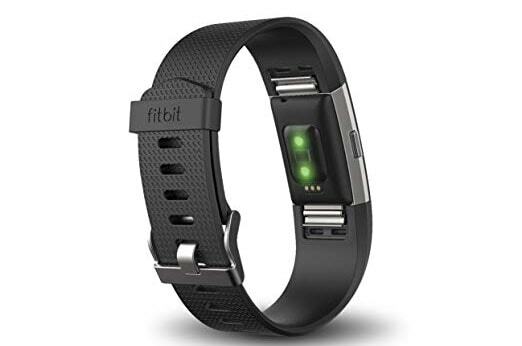 The Fitbit Flex Sleep Tracker is a wrist-wearable device that tracks your daily activity and can be worn at night to track the quality of your sleep. During the day it records the number of steps you take, distance covered, calories used and time spent while active. You can set goals, and led lights activate the closer you get to your targets. You can sync the device to iOS systems such as iPhone 4S and later, iPads, iPod Touch and to Androids (various generations of Samsung Galaxy). It also syncs to over 150 different types of Smartphone and to computers including Windows Vista and later. It is water-resistant and the battery lasts around 5 days The Flex comes with two sizes of wristband – both are included in the box! One fits wrists between 16.51 cm to 20.07 cm, and the other wrists of 13.97 cm to 16.51 cm. Wakes you with a silent wake alarm – this does not wake your partner. Can be used only as a fitness monitor for workouts, or as a high-quality sleep tracker – or both! Comes with two sizes of wristband. Unlike the Fitbit Charge, this has no altitude tracking (e.g. steps climbed or hills tackled). At least, none that we could find. You need to double the Flex to put it into sleep mode, while the Fitbit Charge does this automatically. This does not tell you the time and you need to sync to another device to get the data from the tracker. The display gives you 5 lights which activate in turn as you get closer to your goals. Instructions are lacking – it may be intuitive if you have used a sleep tracker before, but you have to go online to find instructions of its use. This may not be universal, but others have complained about this omission. Editor’s Notes: The lack of instructions can be a nuisance although you can get the Fitbit Flex Sleep Tracker Instructions in PDF Format here. This is a good, well designed fitness and sleep tracker. The dual function will be useful to many people, enabling you to compare your fitness stats and calorie usage with your sleep habits. 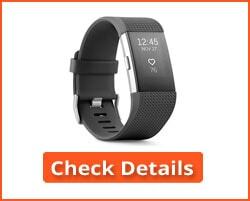 Fitbit Charge vs. Fitbit Flex: When comparing the Fitbit Charge with the Fitbit Flex, the OLED display of the Charge enables you to view your fitness stats in real time. 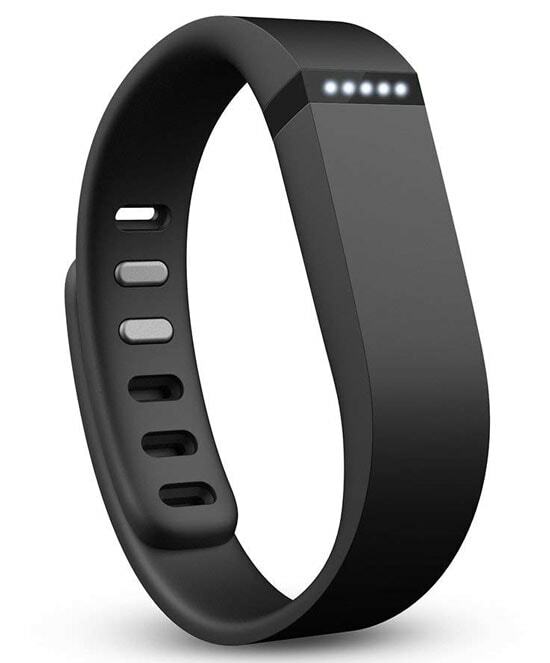 With the Fitbit Flex, what you have are 5 LED lights that come on as you get closer to your preset targets. Because the Fitbit Flex has no display screen, you have to sync the data to another device to view it. Also, the Charge automatically switches to sleep mode when you lie on your bed while you have to double tap on the Flex to switch from Fitness to Sleep tracking. Hence the difference between the #1 position of the Charge and #3 position of the Flex. Withings Aura Smart Sleep System enables you to track the way your sleep, and record your transitions between sleep and becoming awake. Many people wake up during the night without being aware of doing so. By establishing the way you transition between sleep and awake, you can find out why you sometimes feel tired during some days and not others. It cannot be disputed that this is useful information. 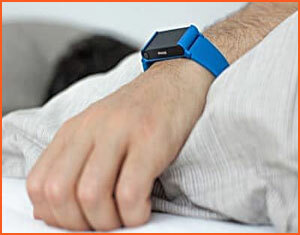 The Withings Aura Smart Sleep System is automatic. Go to bed, and when you fall asleep, it kicks in and starts monitoring. Because it has Wi-Fi, there is no need for you to sync it with your phone every day. The alarm systems first set off a light which begins to gently wake you. This enables you to wake up without the sudden shock of an alarm. Wakens you slowly and gently after a soothing night’s sleep. 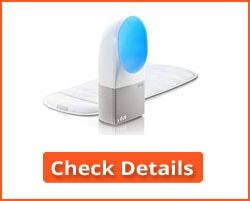 Monitors the quality of your sleep based upon when and for how long you have slept and been awake. Automatic operation – no buttons need to be pressed to activate it. Tracks your breathing to display graphically the following day. A simulation of sunset lighting can help you relax as you fall asleep. You can use your Smartphone to track your sleep patterns. The LED display is useful for use in the dark. 30 day trial period during which you can return your product and request a refund for your order. Some find the app difficult to use. If you move around the bed a lot, you may move out of the tracking signal limits. Editor’s Notes: The Withings Aura Smart Sleep System comes in the form of a slim flat unit which lies under your mattress. The mattress does not interfere with the signal, and many users are delighted with its performance. It operates automatically and displays your sleep pattern variables once you are awake. The ResMed S+ sleep tracker monitors your body movements and breathing while you sleep by means of a bio-motion contactless sensor. The sensor is patented, and unique to ResMed. 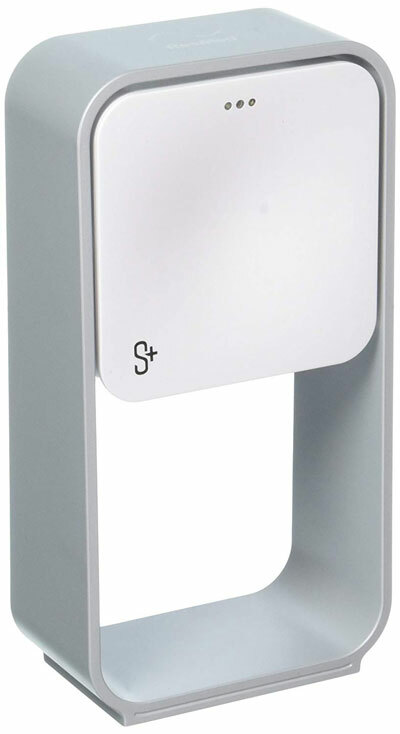 Other sensors in the S+ system detect aspects of your environment that could affect your sleep. Among these are temperature, light levels, and noise or sounds. The system analyzes these factors along with how you sleep to suggest steps you can take to improve the quality of your sleep. Place the sensor on your nightstand and off you go. ResMed’s patented SleepSensor system measures your breathing and sleep without you having any physical contact with it. The way the system works has received positive reviews in the scientific press. 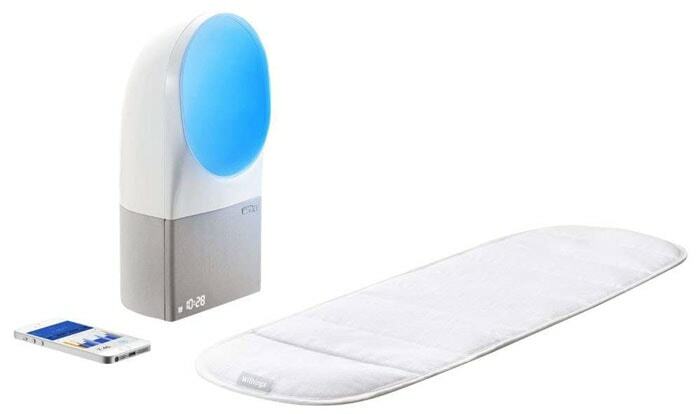 Contactless feedback on your sleeping environment and sleep habits. Includes altitude tracking: How much of your exercise involves climbing stairs, for example. Information on how to improve certain factors that may be interfering with your sleeping habits and sleep quality. Syncs with your tablet or Smartphone. Very easy to use – little technical knowledge required. It can occasionally record you as sleeping lightly when you are actually awake. Many such sleep trackers do this, and even the best sleep tracker finds it difficult to come to the right conclusion when you are lying awake with little or no movement. Unsuitable if your pets sleep with you. They may skew the results. Warranty information difficult to find. Editor’s Notes: The ResMed S+ Sleep Tracker takes several factors into account when assessing the depth and quality of your sleep. You simply go to bed and it does the rest. The sensor is contactless but gives you an accurate indication of how well you are sleeping, for how long and it syncs with your Smartphone. When there are two people in bed, it will generally interact only with the person nearest it. It is able to measure the sleep patterns of only the person closest to the S+ unit. Do you want a dedicated sleep tracker or one with the dual functions of fitness and sleep tracking? Do want a wearable device or not? We have included two wearable options and three of the non-wearable dedicated sleep trackers in our best sleep trackers reviews. So what features should you be considering, and how do you choose the best sleep monitor for your needs? In fact, how is sleep monitored? Sleep can be monitored by detecting and measuring certain factors that signal how you are sleeping and the stage of sleep you are in. It is not our purpose here to explain the various stages of sleep, only to give some indication of how it can be measured. So, what factors are involved? Movement While Sleeping: Your movement while sleeping can give an indication of how well you are sleeping. If you toss and turn, then your sleep is disturbed and you are not properly at rest. Another factor is monitoring your movement is, therefore, an important factor in establishing the quality of your sleep. Both wearable wrist-worn devices and non-wearable devices can be used to monitor rest/activity cycles. Sleep experts agree that such devices can provide useful information. They generally incorporate a device known as an accelerometer. This converts your movement while sleeping into an electrical signal which can be measured and stored. These are common electronic chips that can be used in many devices, including Smartphones and even washing machines where movement and speed are important factors. Heart Rate: Your heart rate is important. This should slow down when you are in a deep sleep. Fluctuations in heart rate can be a result of interruptions in your sleep pattern. Heart monitors provide more accurate sleep-related data than an accelerometer. When your data is synced, your device will estimate the duration of your sleep cycles from your heart rate and its variability. Sleep Stages: By using this information, your sleep tracker can differentiate between the various stages of sleep during the night: light, REM and deep sleep. Wearable (our #1 and #3) and static devices (our #2, #4 and #5 options) can be used in this way. This is also a useful way of identifying periods of temporary wakefulness of which you may not be aware. That could explain why you sometimes do not feel refreshed when you wake in the morning. If you find it difficult to choose between wearable and static monitors, then the following information should help you come to a decision. Wearable sleep trackers serve a dual purpose as a sleep, fitness and activity monitor – and can be used as GPS. Such devices will not only monitor your heart rate and activity, but also your calorie intake and usage throughout the day. Many such trackers and monitors take the form of a smartwatch that can use to tell the time, use as a stopwatch and also use with an app to monitor fitness and sleep activity. Non-Wearable Devices are placed in your bedroom to track and monitor your sleep. Such devices are thin pads or bands that are placed under your sheet or mattress to measure your heart rate, respiration rate, movement in and out of bed and any other metrics needed to monitor your sleep. Static devices can include smart alarms that are based on your sleep cycle, provide special lighting effects and also play soft music or white noise as explained earlier. You can also use sleep trackers that lie on your nightstand – these are able to detect the slightest of movements you make while sleeping or wakening. Some pads even react to temperature and help keep your body at an optimal temperature for the best sleeping conditions. You need a web app to sync with your sleep or sleep and fitness tracker. This enables you to save data wirelessly. It can even connect to smart scales and other devices that can make the best use of your fitness and sleep data. Data is always useful, but if you want to make the best use of your data, then you will need an app to help you achieve that. Here is a selection of Sleep Tracker FAQs: questions we have been frequently asked regarding these wearable and unwearable fitness and sleep trackers. They may help you decide on the best sleep tracker for your needs. The best sleep monitor for one person might not suit another. 1. My wife tends to visit the bathroom during the night. Will this affect my sleep monitoring data? It depends on your device. Most smart devices can measure the sleep patterns of the person closest to where the device has been placed, and ignore the other partner. Check your instructions – in many cases, placing the device on a nightstand will enable it to focus on the person nearest to it and ignore the other. Check it out and see if it makes a difference. 2. My small dog tends to sleep at the bottom of my bed. How will this affect sleep tracking? Pets should have no effect on your results – unless it is a huge grizzly or some other large animal. However, any animal might have an effect if they get up and wander around the bed at night! Then they could affect your sleep data – and anyway, it is not healthy to allow animals to sleep with you. It should normally be safe for you to use a sleep tracker if you have a pacemaker – or with a CPAP machine. 4. I am pregnant. Can I use a sleep monitor or tracker during my pregnancy? We can see no reason why not. There is nothing about a sleep tracker that we are aware of that could cause harm to your child. However, if you are concerned then refer to your midwife or obstetrician. 5. 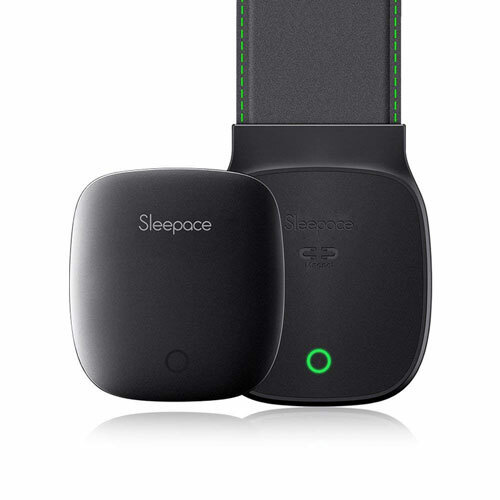 Can a sleep monitor be used with a child? We have no data on how children react to sleep monitors. Those that rely on detecting movement only should not be a problem. However, we cannot state that sleep monitors are suitable for children because we do not know. A professional pediatrician should be able to answer that question with more authority than we could. Our best sleep tracker and sleep trackers reviews should help you to choose the most appropriate sleep monitor for your needs. 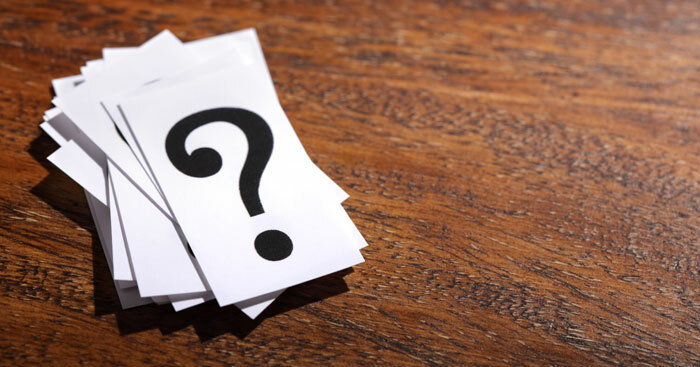 There are many options available, and we have presented our top five after checking out a number of such devices available. If you want no more than a device to track your sleep then any of our middle three suggestions should meet your needs. Our #1 choice, the Fitbit Charge, is our top combined fitness monitor and sleep tracker, while the Sleepace Rest is our top static sleep tracker. It is important to understand that none of these devices will improve the quality of your sleep. They simply tell you that your sleep could be better. The quality of your sleep is very important, and you should do all you can to get the best sleep you can night after night.